The company obtained the certificate for a second time. 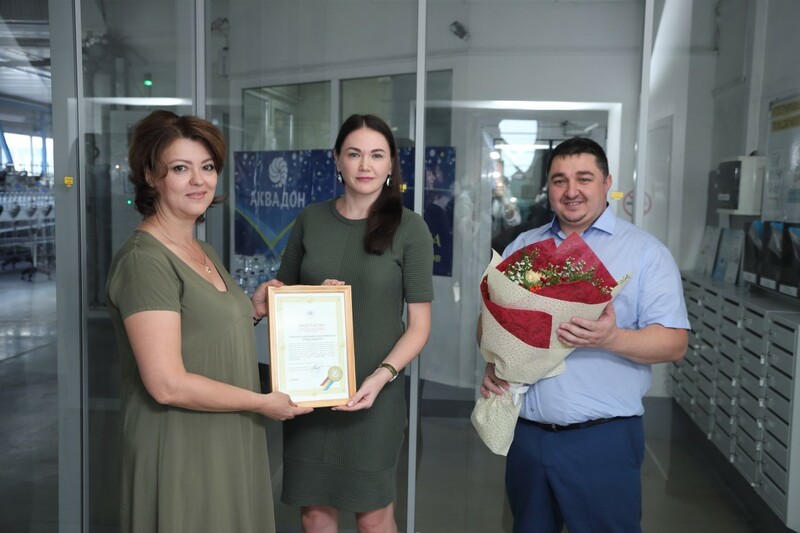 4 products of the company Mineral water «Aksinya», potable water «Iverskaya»,water for infant food «Kap-Lik» and «Serebristaya Nega» were certified in the frameworks of the regional voluntary system «Made in Don Land». Today «Akva-Don» is the sole manufacturer of mineral and potable water in the Southern Federal District which collected certificate FSSC 22000 recognized by the Global Food Safety Initiative.